Simple and ultra-compact, the Zipka 200L Headtorch from Petzl offers 200 lumen brightness and a wide beam. Its self-adjusting retractable cord, a Petzl patent, makes it extremely compact, and offers several possibilities for wearing or mounting. With its long burn time, it is practical for outdoor activities like camping or trekking, or for traveling, and also for daily activities and projects around the house. The phosphorescent reflector helps you find it in the dark, and the red lighting prevents members of a group from blinding each other. 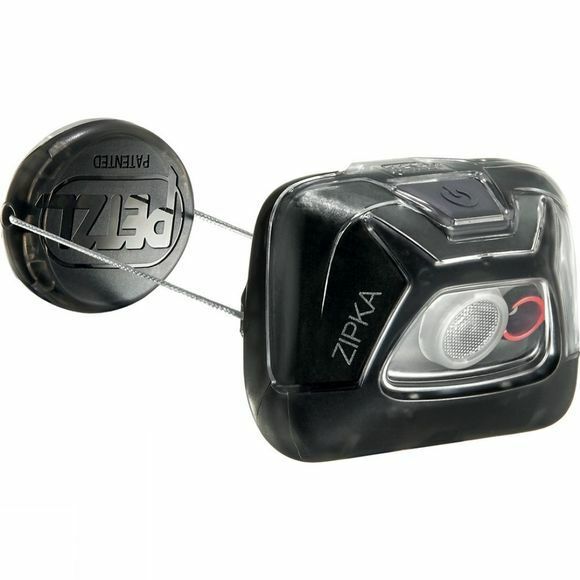 Zipka is a hybrid headlamp that is also compatible with the Core rechargeable battery.